A mobile router allows you to create a Wi-Fi hotspot virtually anywhere by using cellular network data. While this may seem like a novelty to the uninitiated, there are actually a ton of cool and practical ways to put a mobile hotspot to use in your everyday life. And here are the top 10 cool things you can do when you inevitably get this amazing gadget. With a mobile hotspot device you can connect your laptop or tablet device to the Internet from anywhere that has access to a cell signal. 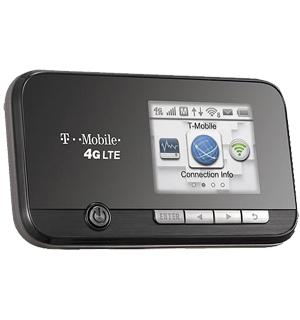 Instead of being confined to working from your office or a public Wi-Fi hotspot, you can use a mobile hotspot to get work done while on the bus, on the train, on your roof, in your backyard, etc. Your productivity will skyrocket. A mobile hotspot allows you to update your blog and your social networks on the go. Post real-time updates as they happen. Stream live video updates for your viewers. With a mobile hotspot, you can stay connected to your online followers no matter where you are. If you’re a gamer, a mobile hotspot is a great way to set up impromptu gaming sessions with your friends. Don’t be confined to gaming indoors. You and your friends can connect your devices and jump into a game without having to crowd into a public Wi-Fi location. If you’re a student, you know how boring it can be constantly having to study at home or in the library. A mobile hotspot lets you take your studies outdoors for a much-needed change of atmosphere. Study in your backyard or at the park to catch some sun while you learn. A mobile hotspot lets you become an amateur sports broadcaster. Live stream your favorite college football team or your kids’ soccer game. You can even add commentary to your stream like the pros do so that your online viewers get to hear your take on the action. Video streaming services are great, but it can get monotonous having to sit inside your living room whenever you watch a movie. With a mobile hotspot you can take your favorite movies and TV shows on the go, or simply watch them while lounging in your backyard for a change of atmosphere. Whether you like to attend book conventions, cosplay conventions, or even professional networking events, a mobile hotspot is a great way to broadcast the event to the world. With a mobile device you can turn the interior of your car into an Internet hotspot. This is especially useful for long drives such as family vacations. Keep your kids or other passengers entertained for the entire ride by allowing them to connect their laptops and tablets to the web so you can concentrate on the road. While camping can provide a much-needed break from technology, it can get eerily quiet at night. Bring your mobile hotspot device along for your next camping trip so you can stream music or movies while relaxing in the great outdoors. Whether you’re at a enthusiast’s convention or a music festival, having a mobile hotspot handy is great for conducting live interviews with interesting or famous people that you run into. It’s also a great way to increase your online popularity, because you’ll be uploading your interviews to the web before other attendees even have a chance to connect to the Internet.